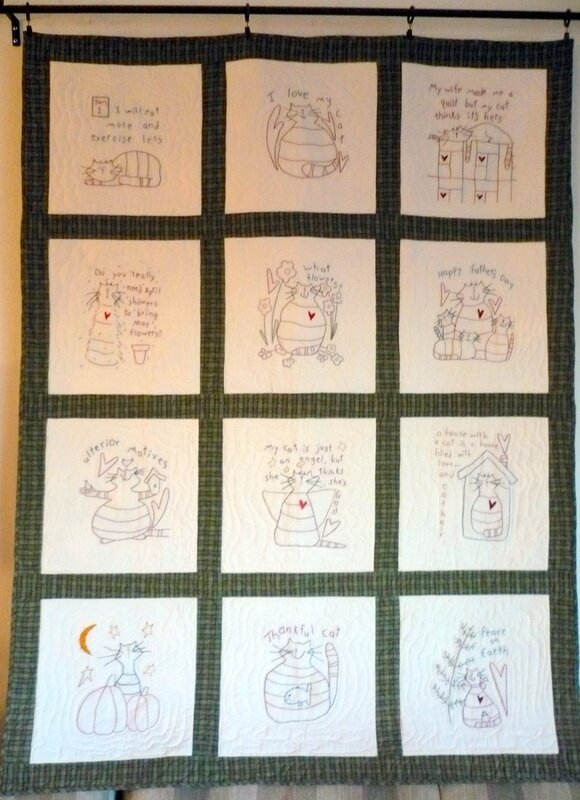 The quilt is wonderful. Sorry to hear about all of the other little details of life. Bleck. Best of luck for the dental visit. Keeping my fingers crossed for you. What a great quilt! I'll have to keep that recipe in mind, too. Best wishes on the dentist appointment. I've prayed for it to go well for all of you! 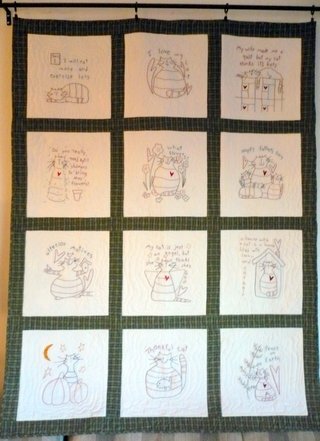 What a fun quilt! I am sorry that you are having anxiety, it's amazing how being a parent can do that to you, you know? I can totally feel your pain, if it makes you feel any better my daughter threw up in the car today. Good times. Good times. 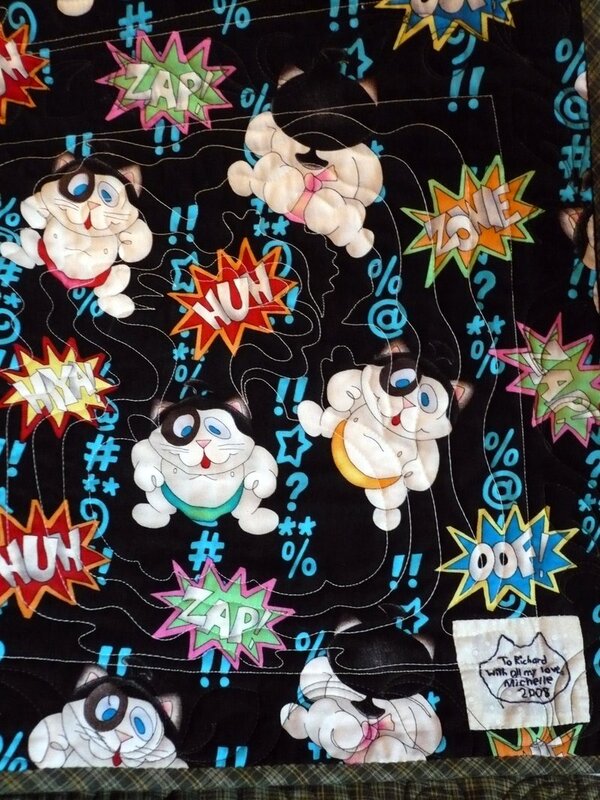 Love the stitchery. Very cute. Wow - the quilt is perfect! 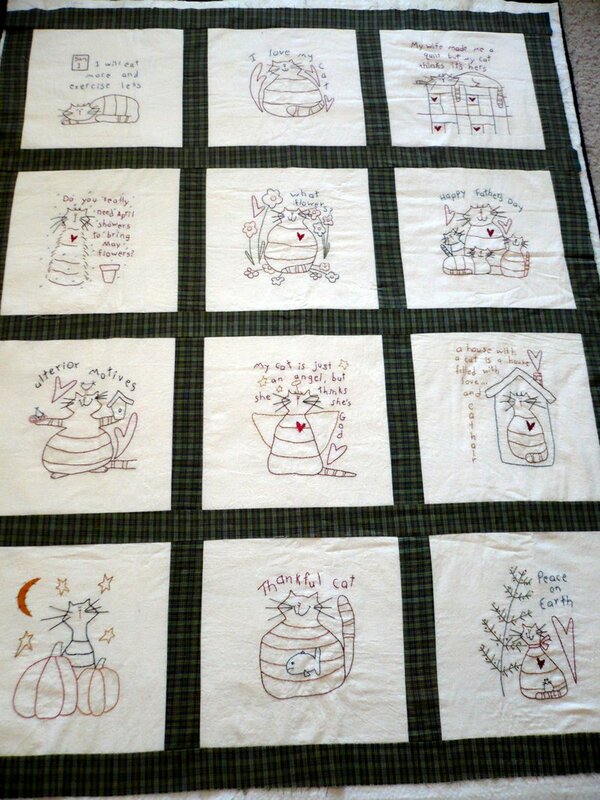 You must feel thrilled and relieved to have it all completed and quilted so beautifully. Looking forward see the close-up shots too. Wishing Becca a very smooth visit to the Dentist.